I would love to use this for Baby H. as a toddler room, shared space or a play room in the future! So bummed the Maritime Crib from Restoration Hardware is sold out. I can't find any substitute quite like it. Maybe they will come out with an updated version...here's hoping! Check out my Pinboard for added Arctic Inspiration! 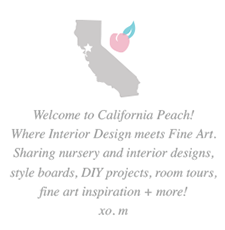 Follow California Peach's board Nursery | Arctic on Pinterest.